South-East Painting is a local painting business serving Druid Hills and throughout Metro Atlanta. We pride ourselves on taking the time to do a thorough job: extensive prep work, detailed trim and the most effective paints to provide a beautiful look to your home. Our workmanship and reputation are what earn us repeat business from past customers. Give us a call when you want experienced, detailed painters working on your home. We work on your home until the project is finished to your satisfaction. Our painters don't work around other homes. We take the time to be detailed in our workmanship. "Proper Prep = Proper Paint." Our pricing transparency gives you control over costs. We can handle repairs for you. Our detailed quote identifies needed repairs, paints and suggested finishes so you can choose options. Our customers do not pay until the project is complete and you approve and sign-off on our work. We want you to get the most out of your home improvement project. Give us a call today. 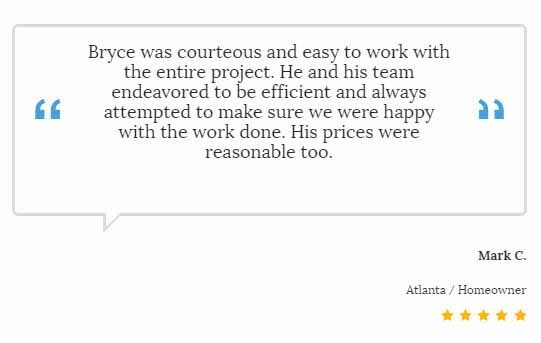 We conduct a thorough review of your home and provide a detailed estimate that outlines choices and timeframes. ​We've outlined our painting process below so you are familiar with how we work and take care of your home. ​Client reviews and we ensure you are 100% satisfied. Exterior paint gives a new look to your home and adds value by modernizing it and increasing the protection of the outer paint layer. 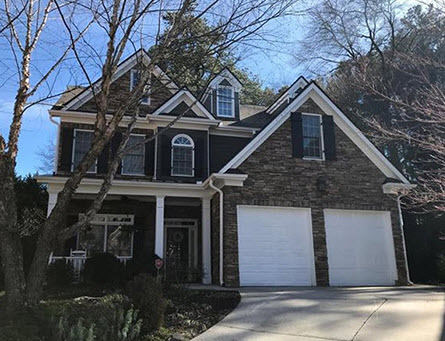 Our projects in Druid Hills have been both interior and exterior painting projects and renovations. When we visit your home to prepare the estimate, we'll inspect the exterior and identify places where sealants will close off cracks or gaps that naturally occur over time. We'll look for any wood rot or damage that you may want to repair prior to a paint job. Many of these light renovations we can handle, saving you time and money in hiring other contractors. Weather can take a toll on our homes. While exterior paint makes the home look attractive, the main reason for paint is to keep the elements away from penetrating the wood and other structural materials. Add years of life to your home by maintaining a durable paint finish to protect windows, doors and the entire exterior of your home. Inspect your home every year to look for signs of wear and tear. Minor repairs including paint and sealants are less expensive that damage down the road. Your home is typically your biggest investment. It reflects who you are and provides that respite at the end of the day. You want it to provide the ambiance you want it to create. Our color consultation will enable us to learn more about your color choices and design style. We also have a Color Expert available to provide information and color choices that not only reflect the most modern styles but your taste so that your home reflects your design choices. When we visit your home to prepare an estimate, we'll review the home's interior and note any repairs that are part of the paint job. Light renovations we can take care and we'll provide pricing. We'll go over the time frame and note this on the estimate. Home painting is a way to increase the value of your property. Find out more ways you can increase your home's value in our Interior Painting section.